If you’re preparing for your first time in Hoi An, you’ve probably already discovered that there’s so much to see and do that it can be a little overwhelming. This peaceful town was a major trading port between the 15th and 19th centuries. Today, it’s a UNESCO World Heritage Site, with beautiful temples, French colonial homes and some of the best tailors in Vietnam. Hoi An doesn’t have an airport or train station, but you can get here by taking a taxi, bus or motorcycle from Da Nang City. The old town is very walkable. Cars and motorcycles aren’t allowed on the roads in the evening, so you won’t need to worry about enduring Vietnam’s notorious traffic conditions. Check out our Hoi An survival guide below, where we list down some of our favourite restaurants, shops, bars, attractions and hotels. 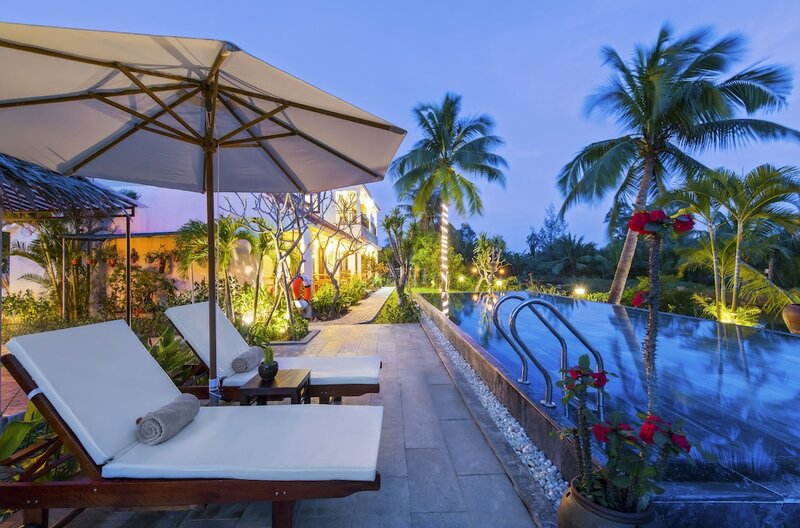 Hoi An offers a very peaceful setting, making it a popular holiday spot for travellers who want a relaxing vacation in Vietnam. Sightseeing options include old-town architecture, Buddhist shrines, French colonial houses, art galleries and old canals. The town centre is small enough to get around on foot, and the traffic is nowhere near as stress-inducing as it is in cities like Hanoi or Ho Chi Minh. Hoi An is one of the best places in Vietnam to experience the country’s rich history. Its attractions are in Riverside and Ancient Town, which makes it easy to explore on foot or cyclo. Declared a UNESCO World Heritage Site in 1999, some of our favourite sightseeing spots include the Japanese Covered Bridge and Fujian Assembly Hall, where you can find a mix of traditional Japanese, Chinese and Vietnamese architecture. Find out more about these must-see places below. When shopping in Hoi An, you’ll find that the town offers quality silk and affordable tailoring services. The Ancient Town is the best place to get custom made dresses, suits, shirts and shoes at a fraction of the price you’d pay for them back home. There’s also a local market that sells fresh produce and foodstuff. You can find plenty of fair-trade shops and non-profit charity organisations in Hoi An, with proceeds funding impoverished families and disabled locals. If you’re an avid bargain hunter, we suggest checking out these great places during your first time in Hoi An. The nightlife in Hoi An mostly consists of trendy bistros, cafés and bars overlooking Thu Bon River. As these venues are within walking distance of most of the town and each other and stay open until 03:00, Hoi An is ideal if you’re a fan of bar-hopping. The city is also popular for its night market. The streets are lit with hundreds of colourful lanterns and candles floating down Thu Bon River, and you can enjoy traditional dances and music performances in the evening. For a wonderful evening in Hoi An, we suggest checking out the following nightlife attractions. Restaurants in Hoi An offer a good mix of local and international dishes as well as beautiful views and interiors. However, we do advise only visiting restaurants that have menus with clear price indications to avoid any unpleasant surprises when the bill arrives. Be sure to try Hoi An’s specialities, such as banh bao vac (white rose dumplings) and com ga (chicken rice). The following are our top picks of the places to enjoy these and other delightful dishes during your first time in Hoi An. 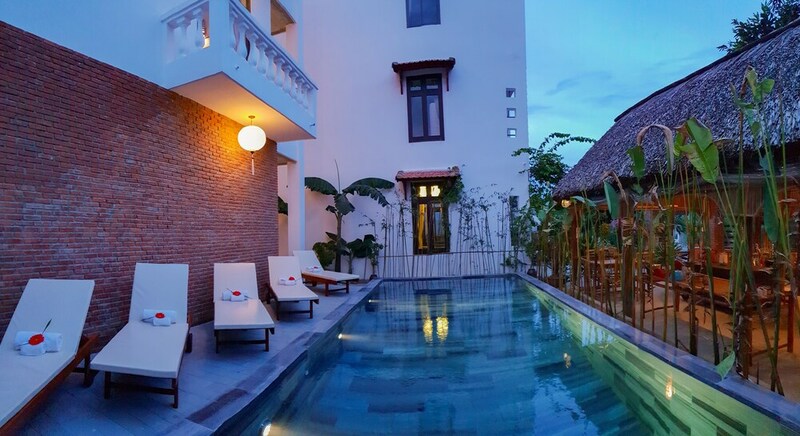 Hotels in central Hoi An are quite affordable as they are mostly homestays, guesthouses and boutique hotels. Affluent travellers can find plenty of five-star beach resorts just a few minutes away from the Ancient Town. You get the best of both worlds here as you get to enjoy beach activities and visit historical sites throughout your holiday in Hoi An. The following are our picks of the best places to stay in the city, which we are confident will give you a comfortable stay, whatever your budget.